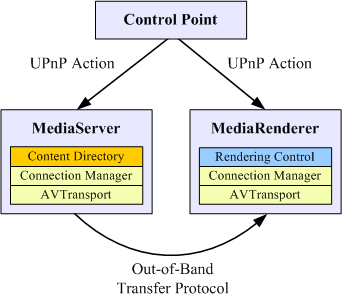 Universal Plug and Play, http://www.upnp.org/. UPnP Forum, UPnP Device Architecture 1.0, 2003. UPnP Forum, “UPnP AV Architecture v1.0”.